Dr. Josef Joffe will deliver the 57th annual Leo Baeck Memorial Lecture on Wednesday, December 3, 2014 at the Center for Jewish History, where he will be introduced by Dr. Henry Kissinger. In his lecture—The Golden Age of German-Jewry, 1871-1933: Is a Remake Possible?—Dr. Joffe will look back at the accomplishments of German Jews before the Holocaust and compare that period to the post-War Germany in which he grew up as the child of Holocaust survivors. Based on his own life experiences and his deep knowledge of history and current events, he will offer an analysis of the present-day conditions and future prospects for Jews in Europe. Immediately following the lecture will be LBI’s Annual Award Dinner, during which Dr. Ronald B. Sobel, President of the LBI, will present Dr. Joffe with the Leo Baeck Medal. 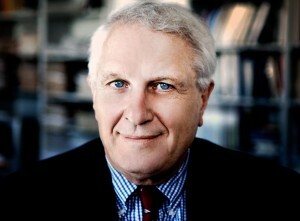 Josef Joffe is one of the most respected contemporary voices on international affairs. As a journalist, editor, and academic, he has published and taught at Harvard, Johns Hopkins and Munich. He is the editor of the influential German weekly, Die Zeit, and he regularly contributes essays and editorials to newspapers and magazines around the world. He teaches political science at Stanford, where he is also a Fellow at the Institute for International Studies and the Hoover Institution. To reserve tickets for this special evening, call (212) 744-6400.